Address: 429170 Chuvashskaya Republic, s.Shemursha, Kosmovskogo st., 31. 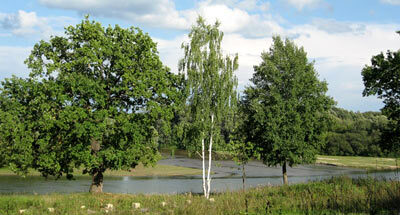 National Park Chavash Varmane is situated in the Shemurshinsky District of the Republic of Chuvashia. 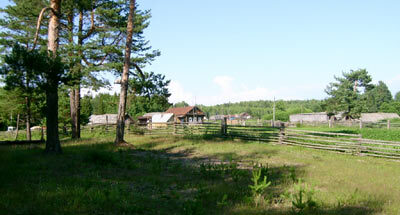 The Park was founded in 1993, its area is 25,2 thousand ha. It is situated on the north of the Privolzhskaya highland; average absolute height is 120-160 m above sea level, and maximum height is 270 m. The territory comprises the basin of the river Bezdna (a tributary of the Sura) and part of the basin of the river Karla. There are more than 20 lakes, mostly found in the rivers’ inundation zones. Sandy ridges and dunes 5-10 m high have an oval form stretched from North-West to South-East. On the east of the Park eroded ravine-gully relief is developed. 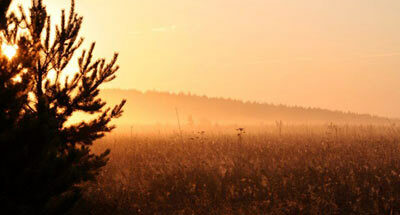 The natural systems of pine and coniferous-broad-leaved forests of the Privolzhskaya Highland are protected. The forest covered area makes up more than 90% of the Parks territory. In this pine forests prevail (10,2 thousand ha); sites of old virgin forests of pine, spruce, oak, lime, elm, ash are met in some areas. Of rare plants in the Red Data Book of Russian Federation yellow lady's slipper and Cephalanthera rubra are noted. The core of the fauna is formed of European fauna species associated with broad-leaved and coniferous-broad-leaved forests. Rare insect fauna is diverse; of which many species are in the Red Data Book of the Russian Federation (notably apollo). Historical and cultural monuments are numerous: in particular ancient graves, including graves of 2 thousand BC and later, graves with Arabian pictures, and early-Bulgarian settlements (the Tigashevskoye Bulgarian town remains). There are also paleonthological monuments.